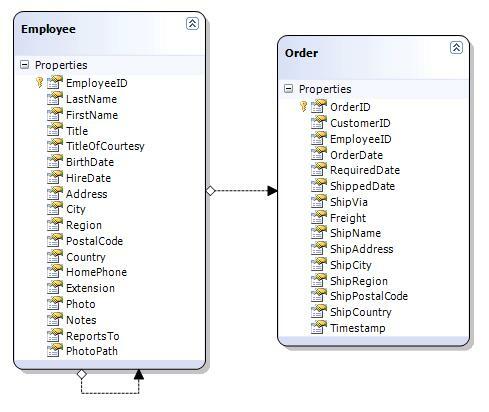 1) How can you create these web services without having to create a separate set of entity objects (that is, we want to use the entity objects that the LINQ to SQL designer generates for us)? 2) What do we have to do to get LINQ to SQL to work with entities passed in through web services? 3) How do you create these loading/saving web services while keeping the amount of data passed across the wire to a minimum? I’m also going to click on blank space in the design surface, go to the Properties window, and set the SerializationMode to Unidirectional. This will put the [DataContract] and [DataMember] attributes on the designer-generated entity objects so that they can be used in WCF services. I have two web service methods — one that loads an Employee by ID and one that saves an Employee. 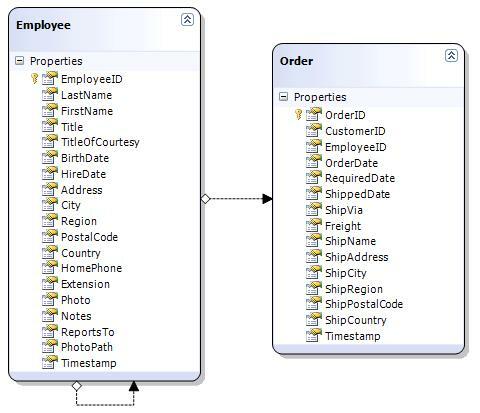 Notice that both web service methods are using the entity objects generated by LINQ to SQL. There are some situations when you will not want to use the LINQ to SQL generated entities. For example, if you’re exposing a public web service, you probably don’t want to use the LINQ to SQL entities because that can make it a lot harder for you to refactor your database or your object model without having to change the web service definition, which could break code that calls the web service. In my case, I have a web service where I own both sides of the wire and this service is not exposed publicly, so I don’t have these concerns. The GetEmployee() method is fairly straight-forward — just load up the object and return it. Let’s look at how we should implement SaveEmployee(). In order for the DataContext to be able to save an object that wasn’t loaded from the same DataContext, you have to let the DataContext know about the object. How you do this depends on whether the object has ever been saved before. How you make this determination is based on your own convention. Since I’m dealing with integer primary keys with identity insert starting at 1, I can assume that if the primary key value is < 1, this object is new. Let's create a base class for our entity object called BusinessEntityBase and have that class expose a property called IsNew. This property will return a boolean value based on the primary key value of this object. Now we have to tell Employee to derive from BusinessEntityBase. We can do this because the entities that LINQ to SQL generates are partial classes that don't derive from any class, so we can define that in our half of the partial class. Now we should be able to tell if an Employee object is new or not. I'm also going to do the same thing with the Order class since the Employee object contains a list of Order objects. OK, let's start filling out the SaveEmployee() method. Great. So now I can call the GetEmployee() web method to get an employee, change something on the Employee object, and call the SaveEmployee() web method to save it. But when I do it, nothing happens. What this means is that my database table does not have a timestamp column on it. Without a timestamp, LINQ to SQL can't do it's optimistic concurrency checking. No big deal, I'll go add timestamp columns to the Employees and Orders tables in the database. I'll also have to go into my DBML file and add the column to the table in there. You can either add a new property to the object by right-clicking on the object in the designer and selecting Add / Property, or you can just delete the object from the designer and then dragging it back on from the Server Explorer. Notice that it passed back all of the properties in the SQL statement -- not just the one that I changed (I only changed one property when I made this call). But isn't it horribly ineffecient to save every property when only one property changed? Well, you don't have much choice here. Now there is another overload of Attach() that takes in the original version of the object instead of the boolean parameter. In other words, it is saying that it will compare your object with the original version of the object and see if any properties are different, and then only update those properties in the SQL statement. Unfortunately, there's no good way to use this overload in this case, nor do I think you would want to. I suppose you could load up the existing version of the entity from the database and then pass that into Attach() as the "original", but now we're doing even more work -- we're doing a SELECT that selects the entire row, and then we're doing an UPDATE that only updates the changed properties. I would rather stick with the one UPDATE that updates everything. We are now about 3 months into our project using LINQ to SQL. Our project is a Winforms app using SQL Server 2005 (LINQ to SQL only works with SQL Server). We are planning on moving to an n-tier system with a WCF service layer, but for now our application talks directly to the database. Even though we don’t have the service layer in there yet, we’re architecting the system as if we had the service layer in there so we’re having many of the same issues that we will have when actually have the service layer. Microsoft hasn’t always been known for stellar 1.0 releases (e.g. Vista, the Zune, etc.). When it comes to something that’s in the .NET Framework, I had a little more faith because it’s a little harder for them to go back and fix something if they screw it up. I figured that because of that, they’ll make sure that they get it right. LINQ to SQL is not complete. There are some issues that Microsoft knows about that LINQ to SQL doesn’t currently handle. None of these issues are show-stoppers. While we’ve had to jump through some hoops to get around these issues, but we’ve been able to do everything that we’ve needed to do. I’ll get into more detail on the hoop-jumping in later posts. Even with all of these issues, I give LINQ to SQL a rousing endorsement. I’ve always been an ORM fan, and I’ve used Nhibernate on several projects. 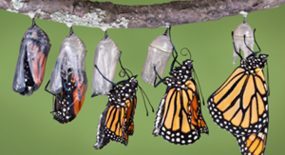 When we started our project, we inherited a legacy database that has been developed over the last 10 years. There are some interesting things in the database, such as numerics being used as primary keys, tables that aren’t normalized, and spotty referential integrity. For the first week, three of us dragged all of the tables onto the LINQ to SQL designer and renamed all the properties to more friendly names. This was a fairly painless process. Now we had all of our entity objects created and ready to go. Well, almost. We created a BusinessEntityBase class and all of the entity objects derive from this class. We do this by creating partial classes that match up with the classes generated by LINQ to SQL (all of the classes generated by LINQ to SQL are partial classes) and specifying that those classes derive from BusinessEntityBase. We don’t have much in the BusinessEntityBase class — the main thing in there is an abstract Id property that each entity must override to specify the value of the primary key. We use this to keep track of whether an entity object is unsaved or not. At this point, we were ready to start working! All of our entity objects were generated for us. Contrast this with Nhibernate, where we had to write (or generate) all of our entity objects and the Nhibernate mapping files. It takes most people a long time to figure out how to write those Nhibernate mapping files! “LINQ” is the general term for the syntax that we now use to write queries. These queries can be executed against a database (LINQ to SQL), a collection (LINQ to Objects), and various other things (LINQ to Amazon). The LINQ syntax and particularly lambda expressions were very foreign concepts at first. You’re just not used to using those types of things in C# code. Then one day is just clicks, and you start discovering all kinds of new ways to use LINQ queries and lambda expressions. Personally, I think lambda expressions are more revolutionary than the LINQ syntax. They don’t provide you with anything that you couldn’t do in .NET 2.0 with anonymous delegates, but now the syntax is much more concise. You can do what you want to do in fewer lines of code, which also makes for more readable code. Here’s an example of why I like lambda expressions. That worked fine, but having to check if the parameters are null is a performance hit in the stored procedure, and someone had to write the stored procedure in the first place. // We'll start with the entire list of employees. We didn’t have to write a separate stored procedure. 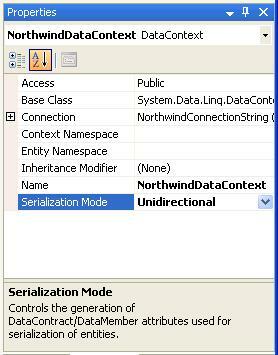 The generated SQL code won’t have to check for NULL parameters passed into a stored procedure. This code is much more testable and easier to read than a stored procedure (IMO). This is compiled, type safe code! I’m not saying that stored procedures are obsolete. There will still be cases where you have a query that is so complex that it’s easier to do it in a stored procedure, or it may not be possible to do it in LINQ at all. But LINQ to SQL is allowing me to scrap many of the stored procedures that I used in the past. Over the next few weeks, I’ll post in more detail about how we are using LINQ to SQL and some of the things we’ve had to do to make it work. One thing that almost every project seems to struggle with is unit testing. Not so much the writing of said tests as much as the fact that inevitably you will get really busy and no one will run all of the unit tests for a week or so, and then all of a sudden you decide to run them and you find out that half of them are failing. Many times these are easy to fix, but when there are so many failing, you don’t have time to dive in and fix them all. So no one fixes them, and the unit tests become pretty much worthless because you can’t count on any of them. At this point, many people stop writing unit tests because they’re not used to ever running unit tests anymore, so they forget about writing them altogether. Someone will eventually decide that the unit tests need to be fixed, so someone will spend an entire week fixing them all up. But by then the code coverage is lacking because people had stopped writing them (see above). You don’t have time to add tests at that point because you’re a week behind because you spent a week fixing unit tests. For the first time I am working on a project where none of this is happening. Much of the credit goes to my co-workers, who do a great job of writing lots of good tests and keeping them up. But what is going to keep everything going is using continuous integration with TFS 2008. I know, some people are getting ready to click the comment button and say that they’ve been doing CI with CruiseControl for years. CruiseControl is great, I won’t deny that. Much to my surprise, it took me no more than 10 minutes to set up our CI build using TFS 2008. Now I can look at a dashboard screen and see that all 684 of our unit tests have been passing all day. If a check-in causes a test to break, everyone gets an email saying so and TFS automatically creates a bug for the person that broke it. So we stop and fix the tests right away and we get back to work. Next up is to figure out how can configure our USB Missile Launcher to automatically shoot someone when they break the tests! I’ve thought for awhile that the Policy Injection Application Block looked interesting, but now I’ve finally had a chance to use it. The basic idea is that you can wrap a method call with a “handler” which will execute custom code before and after the actual method is executed. The block comes with a bunch of handlers out of the box, but you can also add custom handlers that you can use either by putting a custom attribute on a method or by adding to the configuration file. This post explains in more detail how to use the Policy Injection Application Block. MyHandler.cs – this is the file where you will write the custom code that you want to execute before and after the actual method call. MyHandlerAssembler.cs – creates a MyHandler object from a configuration object. 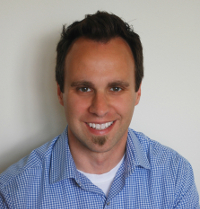 MyHandlerAttribute.cs – attribute that creates a MyHandler object when placed on a class, method, or property. MyHandlerData.cs – stores data from custom attributes when handlers are created in the configuration file. There are two ways to add a handler, and either way will accomplish the same purpose. Place a [MyHandler] attribute on a method, property, or class. In the BankAccount.cs class, I decorated the Deposit() method with a [MyHandler] attribute. If you run the application, click the Deposit button, enter a value, and click OK, code in MyHandler.Invoke() will be executed and you’ll see some stuff in the output window. Add to the <policyInjection> section of the app.config file. If you open the app.config file and search for “My Custom Stuff” you will find the section that I have added. If you run the app and click the “Balance Inquiry” button, code in MyHandler.Invoke() will be executed and you’ll see some stuff in the output window. Here is the quick start project with my changes included. I’m not exactly sure what is going on under the hood, but it appears that when you do a query (or a portion of a query in this case), you cannot save the result as an IEnumerable<T>, add to the query in a later statement (as I did in #1), and have LINQ to SQL know that it needs to combine the statements into one query. However, if you store the first part of your query as IQueryable<T>, then you can add onto that query later (before it actually gets executed, of course). Bottom line — if you have a LINQ to SQL statement and you can save it as an IQueryable<T> instead of an IEnumerable<T>, do so so that you have flexibility to continue to add onto that query.